One of the advantages of as ynthetic grass pitch is the relatively low maintenance cost required to ensure superior performance of the pitch. Regular maintenance of the field guarantees a clean, permeable soccer pitch that maintains all the performances characteristic necessary for playing the game. 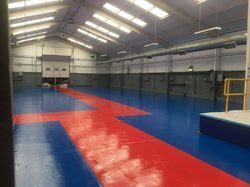 The Multi- purpose sports flooring that we offer is a free floating resilient sport flooring system. These Flooring are available at reasonable prices and are in conformation with industry norms & standards. 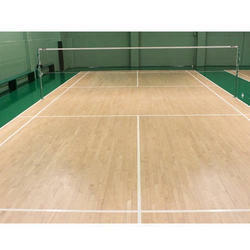 Our company has gained name and fame in presenting PU Sport Flooring. Available Color: Red, Blue, Green, Yellow, Orange, Purple.